Answer: You Communist Party members believe that materialism and the theory of evolution are the truth, and you revere Marx and Darwin. Then why is it that ever fewer people in the world believe in materialism and in the theory of evolution? Of the whole human race, believers in God make up the majority. Of all the people who genuinely believe in God, none believe in the theory of evolution. Even among people who don't believe in God, there are not many who completely believe in the theory of evolution. Are there humans nowadays who believe in Darwin? Are there people who recognize the theory of evolution as truth? Perhaps there are not many of this kind of person. Do all of the people who believe in the theory of evolution acknowledge that apes are their ancestors? When they perform memorial ceremonies for their ancestors, do they perform obeisance to the apes? If even they don't perform obeisance to the apes, yet repeat over and over again that the theory of evolution is truth, they are not practicing what they preach, are they? You all venerate science, base everything on science, and use science to explain all problems. Then, may I ask: Is science truth? How did science come into being, ultimately? Why are many scientific theories published by scientists later refuted by other scientists? Do you dare to say that science is truth? So I ask you: Can science purify the corruption of the human race? Can science save the human race from Satan’s power? Can science cause people to cast aside sin and live a life of significance? Can science bring peace to the world? Can science bring the human race happiness and a glorious destination? Can science bestow safety and gladness upon people? Can science predict the development and destination of the human race? Science cannot attain any of this. How can you say that science is truth? So ultimately what is truth, do you dare to say for sure? Because you believe in science so much, and praise science so highly, please explain for us: ultimately what is science? Science is a few theories in the realm of knowledge achieved by the research of the corrupt human race when faced with the universe and world that God made. It is produced completely from the brains of human beings. The corrupt human race does not possess truth. It does not possess the least bit of truth. How, then, can scientific knowledge produced by the corrupt human race be truth? Truth can come only from God. Only God is the Creator. Only the words expressed by the Creator are truth. Ever since God appeared and worked, expressing many words, the human race has experienced these words of God. They have been able to recognize that only God’s words are truth; they are the ever-unchanging fact. In the Age of Law, God proclaimed many words, leading humans to observe the laws of God, thereby obtaining God's caring protection, and blessing. Those who transgressed the laws were declared guilty and cursed. During the Age of Grace, the Lord Jesus was crucified for the sins of mankind, and became the Redeemer of the human race. By believing in the Lord Jesus, people's sins were pardoned, and they could enjoy the grace and blessing of God. 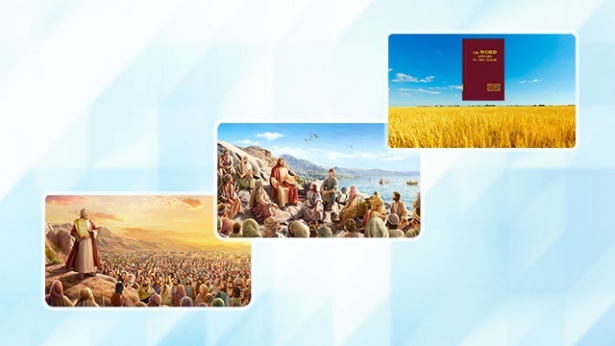 With the arrival of the Age of Kingdom, Almighty God has appeared and done work, expressing truth to judge and purify the human race, thoroughly saving the human race to gain freedom from Satan's power, causing people to turn toward God, and gain God's blessing, bestowing upon people a wonderful destination. The facts of God's work suffice to show that the words of God are truth, and that what they bring to the human race is light, blessing, and salvation. 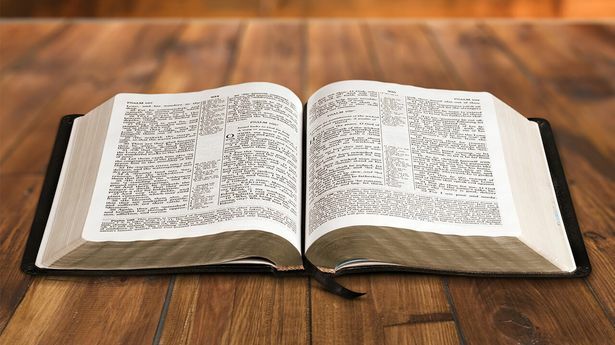 For millennia, God has used words to lead the human race, to guide the human race to where they are today. God uses words to accomplish everything. Every one of God's words is coming true, they are all being made good. These are the facts that the whole human race can see. The Lord Jesus said, “For truly I say to you, Till heaven and earth pass, one stroke or one pronunciation mark shall in no wise pass from the law, till all be fulfilled” (Mat 5:18). “Heaven and earth shall pass away, but my words shall not pass away” (Mat 24:35). Now the last days have arrived, and the majority of Christians have seen that the prophecies of the Lord Jesus have come true and been accomplished. This goes to show that only the words of God are truth, and only the words of God are the positive things. These are facts that no person can deny. Only God can save the human race. Only the words of God are truth, and can be the life of humans. Science certainly is not truth! Science has been developing until today, but what has it actually brought? From the outside, it appears that humans have achieved some positive results from the development of science. The standard of living appears to have gone up, and society appears to be thriving and prosperous. In reality, though, the development of science has brought about a crisis of belief to the human race, causing humans to distance themselves from God, to deny God, and to betray God. Because they believe in science, many people have not sought God, though they know He exists. Rather they pursue pleasures and enjoyment of the flesh. Under the influence of this kind of trend, the morality and character of the human race has increasingly declined, becoming more and more wicked and abnormal. The souls of people are ever more empty. People all seek excitement, and indulge lust. Drug addiction and suicide are ever more common. Is this not true? During the same time that the human race has developed science, it also has seriously damaged the ecosystem and environment, causing air pollution, water pollution, soil pollution, food pollution, etc. This has caused the human race a great deal of harm. In particular, countries of the world are engaged in arms races, racking their brains to manufacture sophisticated weapons. Science has made nuclear weapons, guided missiles, and chemical weapons, which cause the entire human race to be faced with the danger of destruction. If World War III erupts, it will bring great calamity to the human race. It is possible to foresee that the day on which science develops to its pinnacle, that will be the end of the human race. I will fellowship with you a passage of the words of Almighty God. When you hear this you will know whether science ultimately has brought blessing or disaster to the human race. Almighty God says, “From when man first had social sciences, the mind of man was occupied by science and knowledge. Then science and knowledge became tools for the ruling of mankind, and there was no longer sufficient room for man to worship God, and no more favorable conditions for the worship of God. The position of God sunk ever lower in the heart of man. A world in man's heart with no place for God is dark, empty without hope. … Science, knowledge, freedom, democracy, leisure, comfort, these are but a temporary respite. Even with these things, man will inevitably sin and bemoan the injustices of society. These things cannot restrain man’s craving and desire to explore. Because man was made by God and the senseless sacrifices and explorations of man can only lead to more distress. Man will exist in a constant state of fear, will not know how to face the future of mankind, or how to face the path that lies ahead. Man will even come to fear science and knowledge, and fear even more the feeling of emptiness within him. … If the people of a country or a nation are unable to receive the salvation and care of God, then such a country or nation will tread the road to ruin, toward darkness, and shall be annihilated by God” (“God Presides Over the Fate of All Mankind” in The Word Appears in the Flesh). “They continually carry out scientific exploration and in-depth research, then ceaselessly they satisfy their own material needs and lusts; what then are the consequences for man? First of all there is no longer any ecological balance and, hand in hand with this, mankind’s bodies have all been tainted and damaged by this kind of environment, and various infectious diseases and plagues spread everywhere. This is a situation that man now has no control over, is that not right? (Yes.) Now that you understand this, if mankind does not follow God, but always follows Satan this way—using knowledge to continually enrich themselves, using science to ceaselessly explore the future of human life, using this kind of method to continue living—are you able to recognize what the natural end of mankind will be? What will be the natural final result? (Ruination.) It will be ruination: approaching ruination one step at a time. Approaching ruination one step at a time!” (“God Himself, the Unique VI” in The Word Appears in the Flesh) Everything that Almighty God's words reveal is fact and truth. Isn't this what we now see as the consequence brought to the human race by developed science? The corrupt human race all venerates science. This is very dangerous! Science developing like this has brought calamity and destruction to the human race! God is the Creator. Only God can save the human race. Almighty God of the last days expresses truth, and does judgment work for the purpose of purifying and saving a deeply corrupt human race. Almighty God says, “My final work is not only for the sake of punishing man but also for the sake of arranging the destination of man. Even more, it is for the sake of receiving acknowledgment from all for everything that I have done. I want each and every man to see that all I have done is right, and that all I have done is an expression of My disposition; it is not man’s doing, least of all nature, that brought forth mankind. On the contrary, it is I who nourish every living being in creation. Without My existence, mankind will only perish and undergo the scourge of calamities. No human being will ever again see the beauteous sun and moon or the green world; mankind shall encounter only the frigid night and the inexorable valley of the shadow of death. I am mankind’s only salvation. I am mankind’s only hope and, even more, I am He on whom the existence of all mankind rests. Without Me, mankind will immediately come to a complete standstill. Without Me, mankind will suffer catastrophe and be trodden down by all manner of ghosts…. The disaster originates with Me and is of course orchestrated by Me. If you cannot appear as good in My eyes, then you will not escape suffering the disaster” (“You Ought to Prepare a Sufficiency of Good Deeds for Your Destination” in The Word Appears in the Flesh Only by submitting to God's judgment work of the last days, accepting all truth expressed by Christ, can one's corrupt disposition attain purification, and can one submit to God and worship God. Only in this way can one be preserved from the end-time destruction by God's protection, to get into God's kingdom. Previous：Question 13: All of you believe in God; I believe in Marx and Lenin. My specialty is research of various religious beliefs. Through many years of research, I have discovered a problem. All religious belief holds that there is a God. Yet of all the people who believe in God, none has ever seen God. Their belief is based solely on their own feelings. I therefore have reached a conclusion about religious belief: Religious belief is purely imaginary; it is superstition, and has no basis in science. Modern society is a society in which science is highly developed. Everything must be based on science in order for there to be no mistakes. We Communist Party members believe in Marxism-Leninism. We don’t believe that there is a God. How does The Internationale go? “There has never been any Savior of the world, nor deities, nor emperors on which to depend. To create humankind's happiness, we must entirely depend on ourselves!” The Internationale clearly states “There has never been any Savior of the world.” The reason that the human race in the past believed in God and practiced superstition is mainly because human beings at that time, facing such phenomena of the natural world as the sun, moon, and stars; wind, rain, thunder, and lightning, had no way to produce a scientific explanation. Hence, fear and wonder arose in their minds about supernatural powers. Thus the earliest concepts of religion were formed. Also, when humans could not solve such difficulties as natural disasters, and disease, they hoped to attain spiritual comfort through respectfully making obeisance to God. This is how religion came into being. Obviously, this was not rational, and it was not scientific! Nowadays, the human race has advanced, and science is flourishing. In such fields as the aerospace industry, biotechnology, genetic engineering, and medicine, the human race has made considerable progress. In the past, human beings did not understand, and had no way to solve many problems. Nowadays these problems can all be explained through science, and science can be relied on to provide solutions. In this age of developed science and technology, if people still believe in God, is this not foolish and ignorant? Wouldn’t such people be left behind by this age? The only practical thing is for us to believe in science. Next：Question 15: National leaders have labeled Christianity and Catholicism as cults, and labeled the Holy Bible as a cult book. These are generally acknowledged facts. As to why central government has labeled Christian house churches, and in particular The Church of Almighty God as cults, as my understanding and research inform me, I consider it to be like this: All who testify that God created all things, who testify that God is the Creator, that God created mankind, who testify that God rules over everything, and testify that God is the Lord of the universe, and controls the universe, and would have the human race revere only God, submit to God, and worship God, all these are cults. All who testify that God is righteous, holy, and great, who bear witness to God's love and salvation of the human race, who condemn Satan as the devil who corrupts the human race, and as an evil force that rules the world, especially who directly attack and condemn the Communist Party, all these are cults. All who testify that the Lord Jesus has returned, who bear witness for Christ incarnate, and talk of the words and work of an ordinary human as if it were the appearance and work of the Savior, and also publicize and testify that all of the words expressed by Christ are truth, calling upon the human race to accept God, to turn toward God, and to submit to God, and who do not yield to the Communist Party, all these are cults. 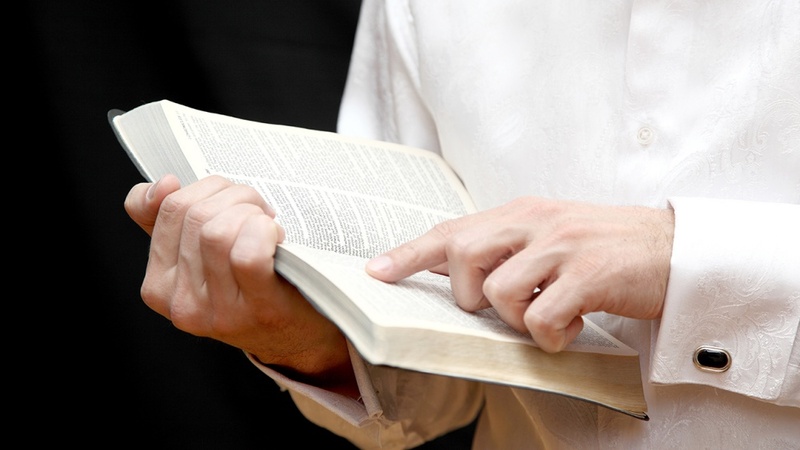 All who testify that the words of God are truth, and higher than everything, who testify that the Holy Bible is God's word and that The Word Appears in the Flesh is truth, and do their utmost to eliminate and condemn Marxism-Leninism and the ideology and theory of the Communist Party, all these are cults. All who teach about and bear witness for Christ of the last days, who preach that God has returned, making all of the human race accept God's salvation, and who call upon people to abandon everything and follow God as the only way to get into the kingdom of heaven, all these are cults. This is my understanding of the central government's labeling all Christian house churches, in particular The Church of Almighty God, as cults. Do all of you know what a cult is by now? In China, the Communist Party is in control. The Communist Party is a Marxist-Leninist, atheist political party that opposes all theism. The Communist Party declares guilty as cults all religious groups that believe in God. This demonstrates the absolute authority of the Communist Party. Only the Communist Party is great, glorious, and correct. Anything that goes against or is hostile toward Marxism-Leninism is wrong; it is something that the Communist Party wants to ban. In China, it is necessary to esteem Marxism-Leninism and the Communist Party as great. Could it be that there is something wrong with this? You of The Church of Almighty God openly spread that Jesus has returned, and is none other than Christ of the last days, Almighty God. You also testify that Almighty God expresses truth to purify people, to save people, and that the kingdom of heaven has already arrived on earth. This has resulted in shaking up and dividing religious circles, leading to millions of people turning toward Almighty God. This has caused a giant sensation in China, and has brought severe confusion and unrest to society. In so doing, aren't you disturbing public order? The central government therefore declares The Church of Almighty God guilty of being a cult, and implements severe attack and suppression. You are all deceived and have gone astray. The government hopes that you waste no time in repenting, distancing yourselves from The Church of Almighty God, and joining the Three-Self Church. In this way, the government will no longer hold you criminally responsible.